NVIDIA is a leader in the virtual desktop infrastructure (VDI) space for a number of reasons. Principle among those reasons is their ability to deliver hardware and software solutions that solve specific needs. With today’s announcement of the NVIDIA Tesla P6 and Quadro Virtual Data Center Workstation software, the company is showing off that prowess. Powering higher-end VDI solutions is a task that often falls upon blade servers. 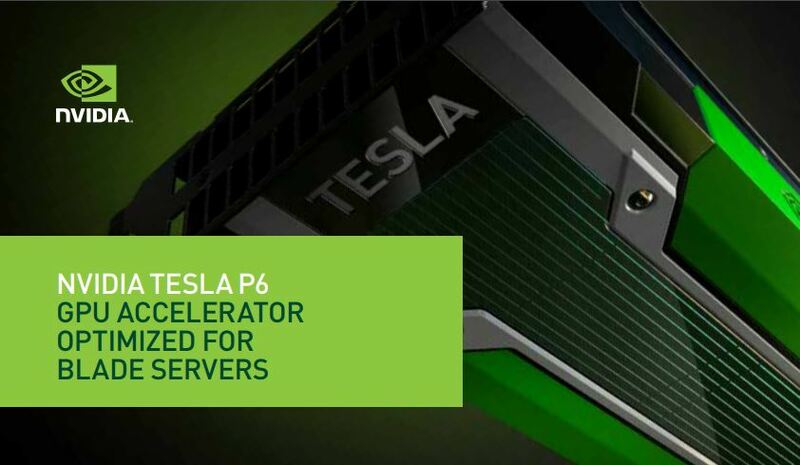 With 2048 CUDA cores and 16GB GDDR5 memory, the NVIDIA Tesla P6 is targeted at the virtualization market. 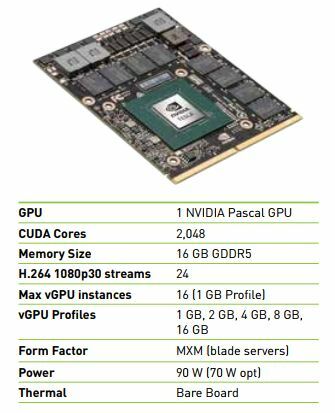 Comparing to the previous Maxwell generation it had only 1536 CUDA cores and 8GB of GDDR5. The MXM form factor along with 90W or 70W power requirements means that the modules can be packed into dense blade servers. The NVIDIA Tesla P6 supports vGPU profiles so one can partition resources and use them for multiple VDI users. That allows an admin to install one type of GPU in the data center, and then give users differentiated experiences based on user needs. The ability to create complex 3D and photoreal designs – Up to 24GB of GPU memory for working with large, immersive models. Increased productivity – Up to double the graphics performance of the previous NVIDIA GPU architecture lets users make better, faster decisions. 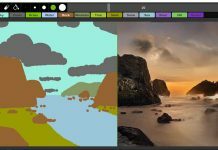 Unified graphics and compute workloads – Supports accelerated graphics and compute (CUDA and OpenCL) workflows to streamline design and computer-aided engineering simulation. Better performance for Linux users – NVIDIA NVENC delivers better performance and user density by off-loading H.264 video encoding, a compute-intensive task, from the CPU for Linux virtual workstation users. 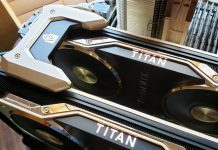 NVIDIA is pushing for centralized GPU compute in data centers as part of a longer term strategy. Its solutions are not just large PCIe cards, but they scale to meet the needs of deployment scenarios with case and point being the new NVIDIA Tesla P6. 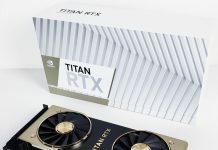 Beyond simply the hardware involved, solutions like vDWS are part of NVIDIA’s vision of running dense GPU compute in data centers. this will come, since AMD Vega have dual driver (game or pro) , that unlock everything. waiting a unlocked driver for Titan, which faster than any quadro, at 1/5 of the price. @fredsky2003 – This Site might have some helpful info for you on using any Card or SoftGPU to share or pass-thru GPUs to multiple VMs: http://searchvirtualdesktop.techtarget.com/essentialguide/Everything-you-need-to-know-about-GPU-virtualization – You can use it to get some ‘Search Phrases’ to find further Links (and avoid Membership for their in-depth (subscription) content).